This weekend: A hike before the hectic holidays - GetGoing NC! Last weekend, our GetHiking! 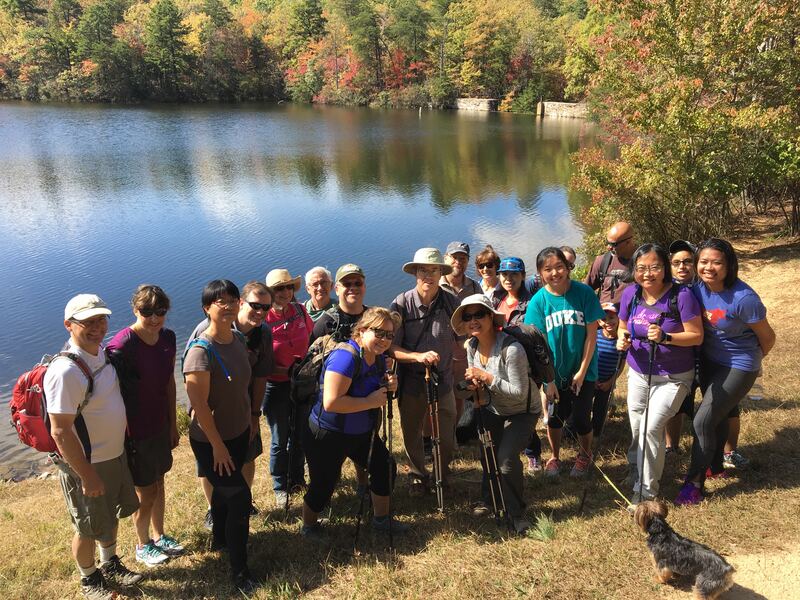 Triangle group explored Goose Creek State Park. Few had previously visited the 1,208-acre park on the north bank of the Pamlico River downstream from Little Washington. Many hadn’t even heard of the park. But all came away big fans. Hence, our recommendation for Saturday’s Live Oak and Huckleberry Trail Hike at Goose Creek. 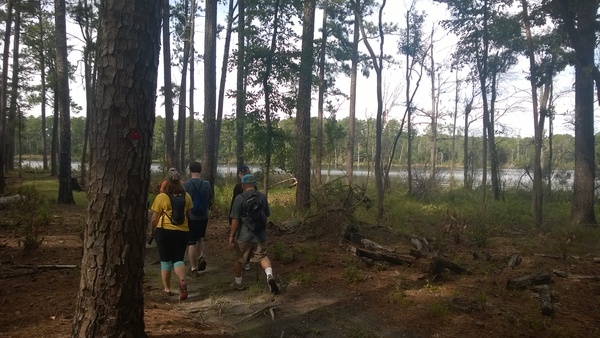 The hike will explore two of the park’s ecosystems: a Live Oak river community and a pine woods savannah. Coastal hiking is at its best on a clear, cool late fall day, which is in the cards for Saturday (see below). 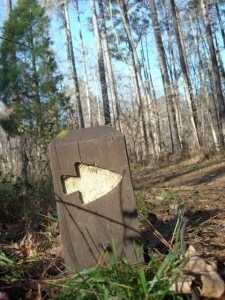 Logistics: Saturday, Nov. 22, 2 p.m., Goose Creek State Park, Washington. For more info, call 252.923.2191. Saturday forecast: Sunny skies, high of 52. We’re entering the season of, ‘tis better to give than receive. What’s best, though, is to give and receive, which is what will happen if you take part in Umstead State Park’s Can You Dig It? volunteer workday. 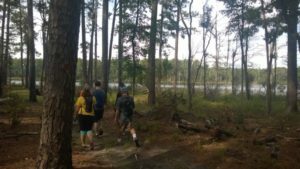 Show up with sturdy boots, work gloves, water and the will to work hard for two hours and you can help improve the quality of Umstead’s over-loved trails. No special skills required, just the ability to take direction and, again, work hard. 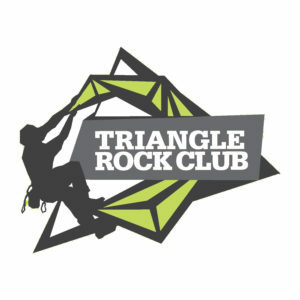 Logistics: Saturday, Nov. 22, 9 a.m., Harrison Avenue/Reedy Creek entrance (off I-40) to Umstead State Park, Raleigh. Reservations are required, by calling 919.571.4170. Saturday forecast: Mostly sunny, high of 52. 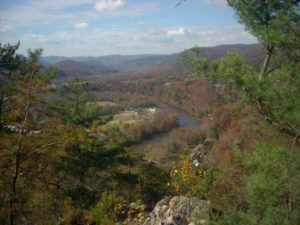 Here’s a hike you probably haven’t done but should: the Appalachian Trail north of Hot Springs. The climb up Lovers Leap Ridge offers repeated views of the French Broad River and Hot Springs below. 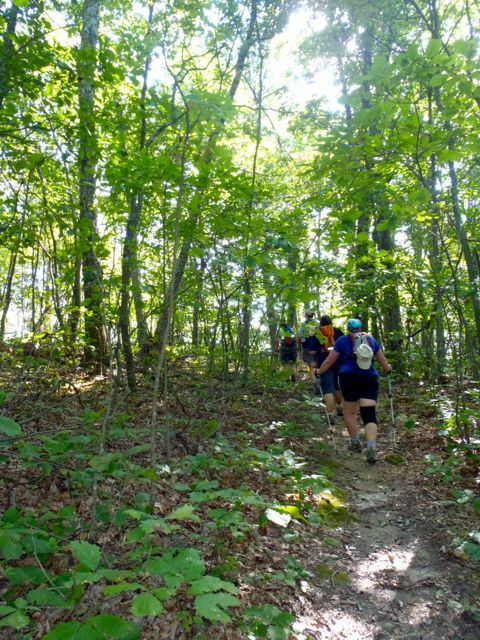 Then, the way the Carolina Mountain Club plans to hike it on Sunday, interconnecting trails will provide more intimate streamside hiking. And there’s the apres hike in Hot Springs, one of the classic AT trail towns. Be sure to include a visit to Bluff Mountain Outfitters, where you can score just about everything a hiker could need — and more importantly, want. Logistics: Sunday, Nov. 23, 8:30 a.m., Appalachian Trail, Hot Springs. 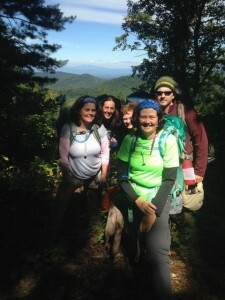 For specifics on meeting time and location, contact Paul Benson at 828.251.1909 or pdbenson@charter.net. Sunday forecast: High of 55, chance of rain.